Welcome to another Scrapping the Little Things hosted by Miss Emma at My Creative Time! I'm so happy to be guest designing today! It's been crazy summer so far! Lots of family time and camping! I have been a bit MIA but I'm still smashing and just started making videos again! 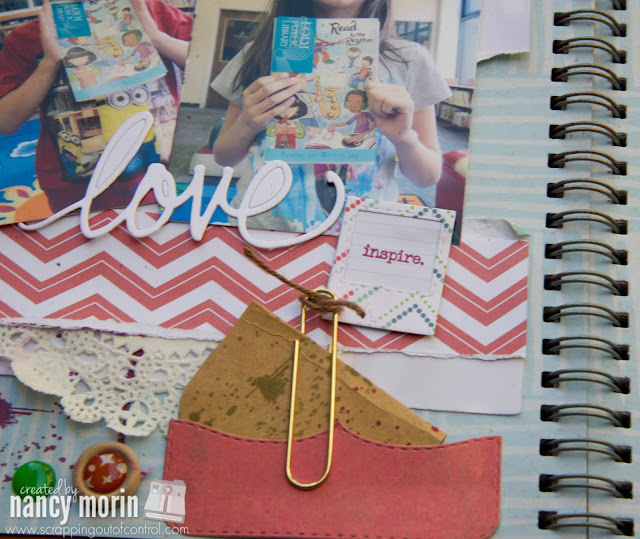 I hope to inspire you today with a little page I made using Miss Emma's amazing products! I even made a process video! Yay me! I started my summer smash series on youtube so if your interested click here! And now on to the page! Thanks for stopping by! Make sure you visit the rest of the design team for more inspiration! Big crafty hugs to you all! OMG Love your Layout!! Your did an amazing creative job!! Your kiddos pics are adorable...and it's totally cool!! 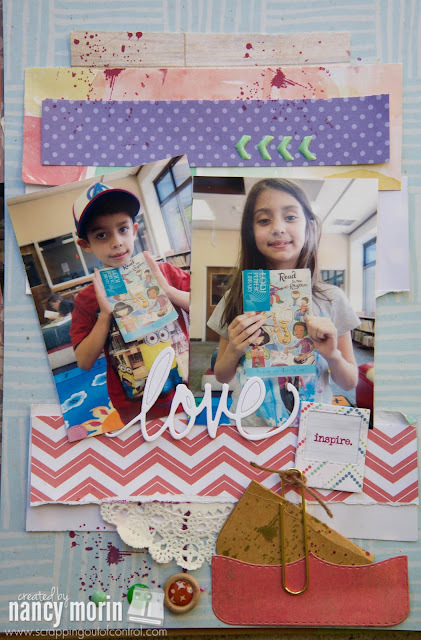 Your scrapping ideas a fun and fab....love all the neat ways that you've used Miss Emma's goodies. I am a die hard scrapper since 2004 and love seeing how others scrap and girl you are a very talented scrapper plus I heart Miss Emma's goodies as well as my Cricut they go hand in hand so thanks for sharing your awesome ideas loved your video. Your LO is awesome Nancy!!! LOVE that fun word die too!!! Fabulous job on your page. Cutting the picture was perfect and more interesting than one big picture. Great video showing it all come together. Love it!